Harford's day camp has a jammed packed program that provides each rank the opportunity to complete about a quarter of their upcoming year's rank requirements. Some highlights fromthe program include: sports, arts & crafts, leather working, BB & archery ranges, woodworking, citizenship activities, and fishing, just to name a few. In addition to meeting requirements, each station rewards the boy's effort by presenting them with a bead or other small award to add to their collection. Some activities may earn them a belt loop or special patch as well! 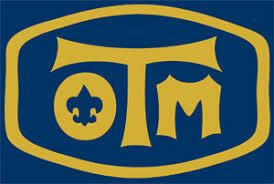 The Oest Cub Scout Resident Camp originated was one of the nation's first Cub Scout Resident Camps. Even though we've moved to Camp Spencer, we're still the same highly-acclaimed program and staff that we have been for 30 years - but now with improved program and facilities to enhance the Oest experience you know.